Tony Stark (Robert Downey Jr.) stars in the second installment of Iron Man, the cocky, womanizer superhero-slash-millionaire. As the US Government learned about his powerful suit, he was asked to turn them over as they feel it promotes violence to the world. 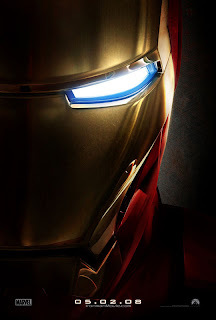 But as Iron Man is part of Tony Stark, he refuses to turn them in and wanted to prove the authorities' judgments wrong. Meanwhile, Justin Hammer (Sam Rockwell), Tony Stark's greatest rival is conjuring a suit similar to Iron Man as he works for the government, thus trying to make Iron Man history. Another enemy for Tony Stark tries to seek revenge on his family, Ivan Vanko (Mickey Rourke), a physicist, made cahoots with Hammer to smash Iron Man and its existence. But growing weaker, Stark was assisted by Natasha Romanoff/Black Widow (Scarlett Johansson) and S.H.I.E.L.D. Director Nick Fury (Samuel L. Jackson) to help himself to go back to his game and prove that Iron Man is an exceptional superhero which shouldn't cease to exist. The movie was action packed. I loved seeing two Iron Men work hand in hand. And Pepper Potts (Gwyneth Paltrow) is a sure sweetheart. How she handles Tony makes me go "awww" everytime. And I'm so in love with Tony Stark. Yes, he may be so cocky, but I guess those are just my type.